The 2019 Acura RDX has been fully redesigned from top to bottom this year, leading many Acura SUV enthusiasts in Dix Hills wondering what the new RDX exterior looks like. A first glimpse at the new Acura RDX exterior reveals a chiseled, aerodynamic, and opulent model with plenty of Acura RDX colors. Take a closer look here with Acura of Huntington! Acura Jewel Eye® LED Headlights – With seven bright LED lamps per headlight, the Acura Jewel Eye® LED headlights are neatly integrated into the front fascia, leading to an unforgettable first impression. Diamond Pentagon Grille – The unmistakable looks of the Diamond Pentagon grille reveal a dynamic design unlike any other SUV on sale today. Round Exposed Dual Exhaust FInishers – Advertising the sportiness of this luxury SUV in back are a pair of chrome-tipped round exposed dual exhaust finishers. LED Taillights – The sculpted rear end of the all-new RDX is complemented by the dynamic and sleekly integrated LED tail lights. 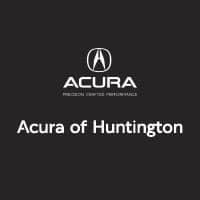 Tour the 2019 Acura RDX in Huntington Today! Interested in getting a closer look at the all-new 2019 Acura RDX? Get your with Precision All-Wheel Steer™ (P-AWS®) or Super Handling All-Wheel Drive™ (SH-AWD®) today near Commack at Acura of Huntington, and compare the Acura RDX to the Acura MDX for help finding the right Acura SUV for you! Explore our variety of Acura RDX lease deals going on now so you can get a great luxury SUV at a price that works for your Syosset needs, and compare the Acura RDX vs Audi Q5 to help you make your decision!